We know how to recruit the best talent for your business. Not only do we match our candidates to your specific needs, but also ensure their overall fit within your organization. 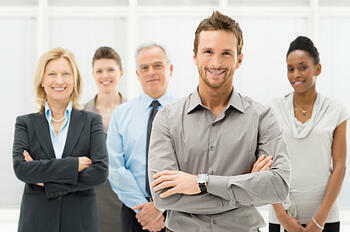 At JOHNLEONARD we base our success on your 100% satisfaction with our candidates. Our proven pre-selection process guarantees that we always provide clients with candidates who, not only match the technical criteria and experience to perform the duties of the job, but also fit into your unique corporate culture. Our process is simple yet effective. Once we receive your job requirements, we utilize our extensive database of existing top talent, social media (Twitter, LinkedIn, Facebook, etc. ), job boards, open web searches, and our network of referrals to quickly identify the most qualified candidates. Prior to presenting resumes, each candidate is required to have a face-to-face interview with an experienced Staffing Consultant. The interview assessment focuses on a candidate's skill-set, qualifications, and experience, as well as on soft-skills such as attitude, work ethic and personality traits. This in-depth process, which includes reference checks, ensures you receive the best solution to your specific staffing need.